I'm a big time Spider-Man fan and was especially drawn to his black costume. The black costume is one of the biggest reasons I started collecting comics in the first place. 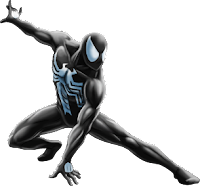 It wasn't Peter Parker wearing the suit at that time, but Venom when I first saw a version of it. Originally I was confused about this comic. I thought it had the first appearance of Spidey's black suit. It wasn't until later on I learned that the first appearance was in Amazing Spider-Man #252, but that's a story for a different post. 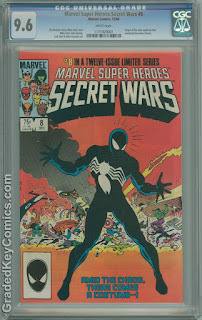 Regardless, I think that every fan of Spider-Man and of his black suit should have this comic in their collection. As I got older, and had more funds, I sought this book out. It was time to add it to my collection. I ended up finding a nice raw copy on eBay for only $15. It had been sitting in one of my short boxes for a few years until my friend and fellow comic aficionado told me about comic book grading, specifically CGC. CBCS didn't exist at this point. Needless to say, I sent this sucker in. CGC had a booth set up at the Big Wow Comic Fest in San Jose. I filled out the form and handed my comic over to them along with my hard earned money. It was a long wait, about 3 months, but I finally got it back and as you can see from the picture above, it came back at a 9.6. Yes, I was very happy. Not bad for a gamble on eBay. 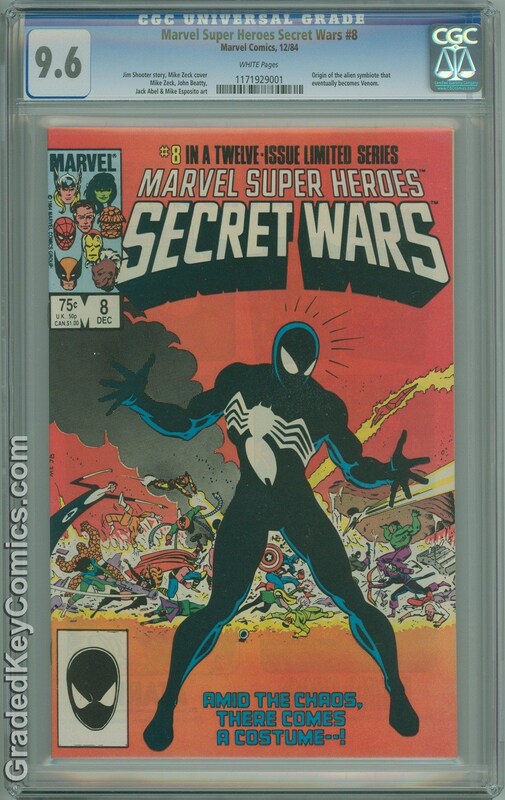 Marvel Super-Heroes Secret Wars #8 was the first graded book in my collection and my first time dealing with CGC or any other grading company. I'll get more into the key issue status and origin of the black suit a little later in the Graded Keys section. This post is just a brief story on how and why this particular comic made it's way into my collection. Stay tuned for more Tales from the Vault.